Spacedrum® belongs to the Trinidad steeldrum and the Handpan family. It's a french designed melodic metal percussion. 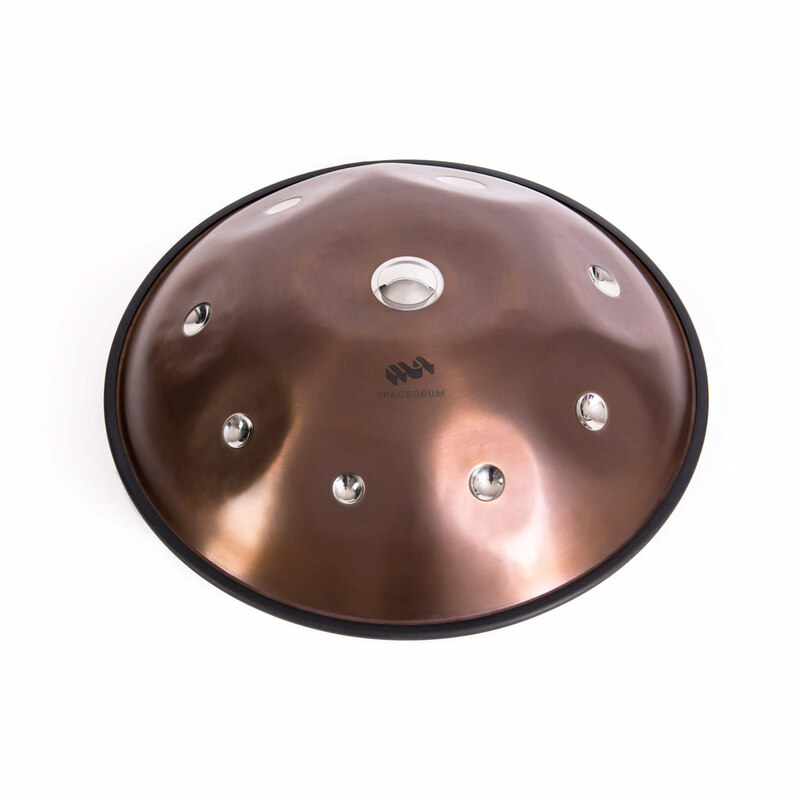 The French company Metal Sounds, originally (1992) specializing in the manufacture and tuning of steel drums (steel pans), designs and manufactures its own handpan, the Spacedrum®, since 2008. 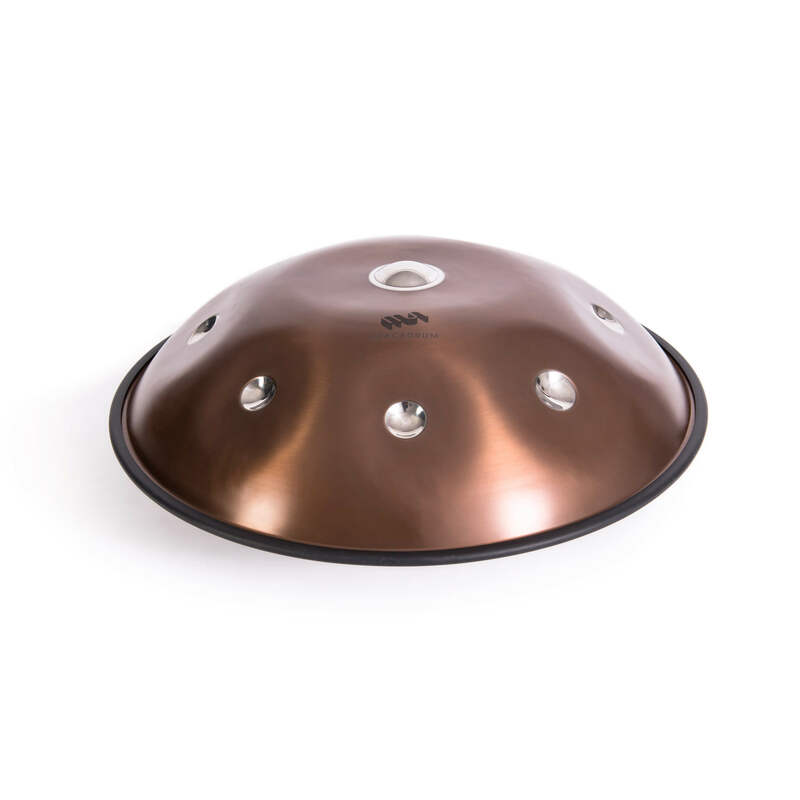 We have also developed a new instrument 2014, our steel tongue drum: the Zenko® . I bought the pentatonic Spacedrum. I think this is a really fantastic Instrumemt. The sound is Amazing and so beatiful. And I dont play the Drum, the Drum Plays me. I Cant describe it better. Thank you for making such a great instrument. The sound is just so beautiful and relaxing. We are quite impressive with the quality and practicality of the bag too. It really was worth the long wait. Many thanks, Marc. A brilliant instrument! I was one of the first few customers to ever purchase a "Deep Sky" spacedrum. The sound is so intoxicating. It has become my way to relieve stress. Sort of like musical therapy. This instrument sets you apart from so many other musicians because it is so rare. This instrument will change your life. If you play it everyday, you will not stress about things anymore. What is the price you would pay for your own health and well-being? I can tell you that this drum is worth every dollar you pay for it. I am so happy that i orderd Deep Sky can't wait to start playing and the person on the phone so patient explaining me all Well worth the wait. Pure pleasure to play!! THANK YOU FOR CREATING SUCH BEAUTIFUL INSTRUMENTS!